It used to be that if you wanted to carry around something that could play music so everyone could hear, it came in the form of the infamous 80s Boombox or “ghettoblaster”; a machine that could grow to truly monstrous proportions if you wanted decent bass. These days, most people will use either headphones, or simply make do with whatever speaker is available on their device of choice, be it phone, tablet or laptop. But some people still prefer to listen to their music with other people around and the locale might be outdoors. In a case like that, the speakers on a mobile device just won’t cut it. Fortunately in the 21st century, there are alternatives to a big hunk of plastic that can play your cassettes but requires 10 D batteries to play for two hours. That’s where Arctic comes in. 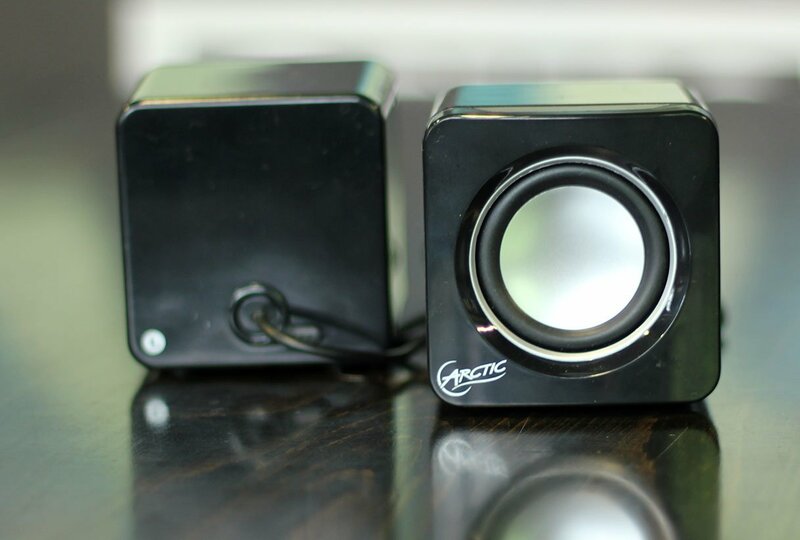 The Arctic S111 BT is a small pair of portable speakers in a tidy, cube shape that has already been in stores. As the Arctic S111 M, the speakers debuted as a portable system that was powered by a USB connection. The new model however, has that BT in its model name to denote the fact that this is a wireless Bluetooth system that now runs on a lithium battery that requires periodic recharging. Otherwise, the size, a very purse or bag friendly pair of seven centimeter cubes, and performance specifications of these speakers are similar to their USB-wired sibling. The good news with these Arctic speakers is that they deliver on the promise of wireless convenience. Arctic claims the battery will last 12 hours before requiring a recharge and while that might not be totally feasible in a real world scenario, 10 hours is not only realistic, but still very impressive. The Bluetooth connection works flawlessly, with no interface problems at all, unlike something like the Fluance Fi30 which connected to a PS Vita but was then unable to control the volume. For old school connections, a standard 3.5mm audio jack is still available, but that defeats the entire purpose of a wireless connection. One thing people need to keep in mind is that recharging the Arctic speakers is strictly through a USB connection, no AC adaptor for a direct wall plug-in has been included, probably as a cost cutting measure, since power sources that take a USB connection—like laptops and PCs—are widely available in most modern homes anyway. Then we get to the sound, and this is where we separate the convenience-minded from the audiophiles. 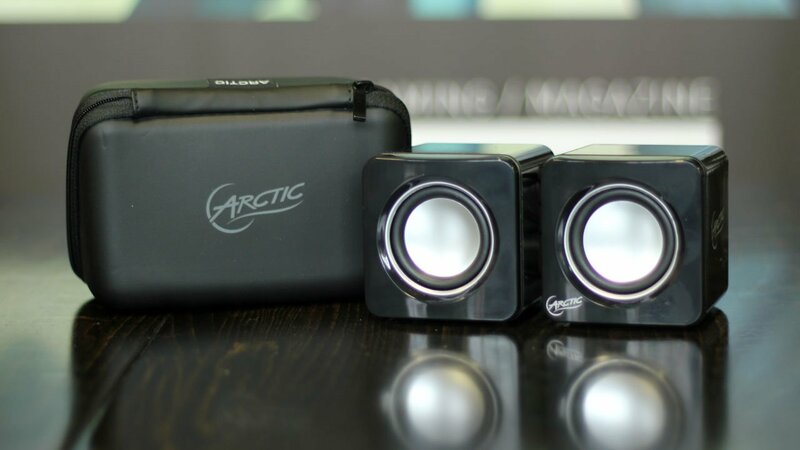 If you care about sound deeply, the Arctic Bluetooth speakers are simply not an option. The physical dimensions of the speaker should make it clear that there’s no way the sound of these speakers is going to match the quality of headphones at an equivalent price. It goes without saying that there’s no decent bass presentation, and even the highs come out sounding tinny. For general listening purposes, however, the mid-range sounds are acceptable, but far from ideal, and while you can crank up the volume on these to some degree, that doesn’t sound great either. However, if you all you want to do is be able to hear your music in a public place with sound better than what you get out of your phone or laptop speakers, these will get the job done, especially when price is factored in. At the time of this writing, Amazon has these on sale at a surprisingly affordable CAD $22, which is over half off the normal price of $50. At $22, it’s difficult to complain about the quality of the audio from these speakers, they are well worth it at that price. $50 is getting to a place where more reasonable arguments can be made, especially when you look at headphones at that price range which will deliver significantly better sound, and include some decent bass. However, if all you’re looking for is something to listen to your music while you’re sitting on an outcropping overlooking a lake, and there’s no AC outlet in sight, or something everyone can use to listen to a podcast while a meal is being prepared for the campfire, the Arctic is a suitable solution for these needs. You won’t get great sound out of these things, but if that’s what you’re looking for, you’ll have to get out of this price range and start looking at more expensive products. The Arctic S111 BT is a small pair of portable speakers in a tidy, cube shape that has already been in stores.